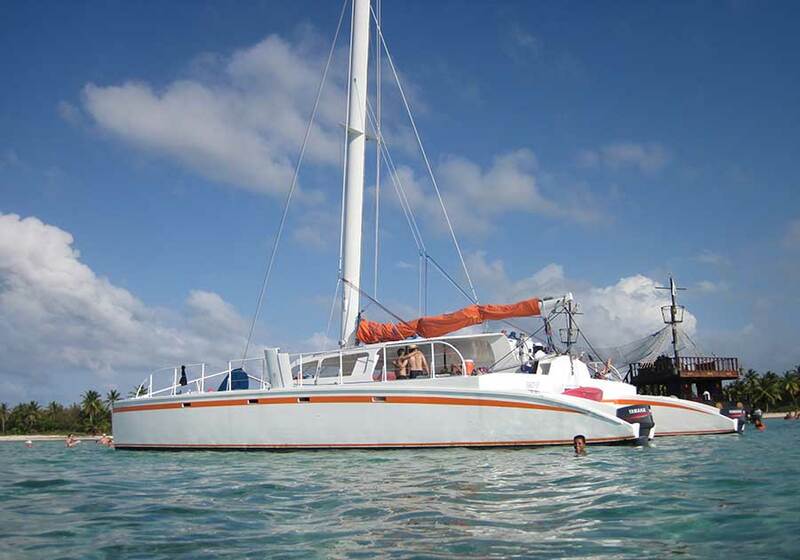 Come sail with us on bebe Catamaran, the best and most affordable sailing excursion in Punta Cana. Punta Cana is a pretty popular place, which is a polite way of saying it can get a little crowded. Our catamaran sailing is the perfect way to escape your resort and the best of its kind here in Punta Cana. 5-star rated Punta Cana Sailing and Snorkeling Adventure. If the tropical climate isn't enough, imagine a day a sailing off the coast of Punta Cana! Imagine multi-colored fish eating out of your hands! You gotta try this, at least once! We even got lifejackets if you want. bebe Catamaran is located in the resort town of Punta Cana in the Dominican Republic. On your next vacation to Punta Cana bring your bathing suit and be prepared for a fun filled day of sailing and snorkeling with us! We’ll provide you with transportation to and from your hotel, drinks, snacks, and the most fun you will ever have in the Caribbean waters off of the coast of the world famous Bavaro Beach. Charting one of our Catamarans is very popular for wedding parties and family reunions. We have to catamarans to accommodate your needs. 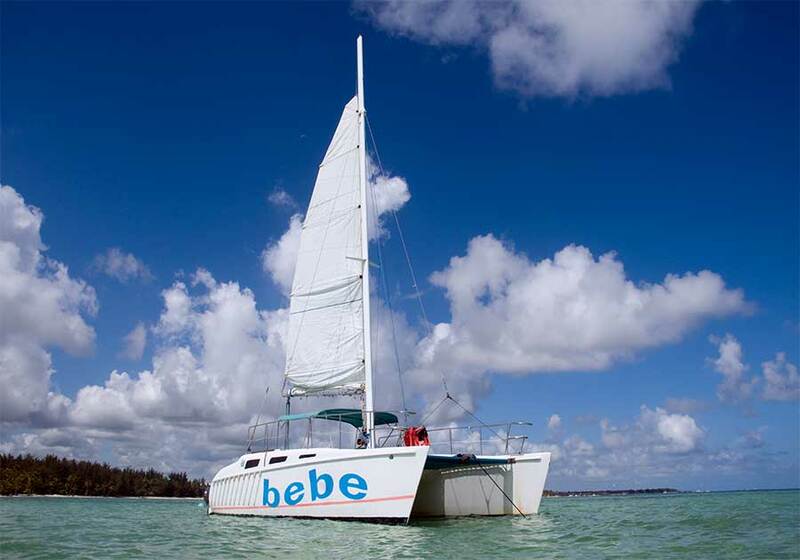 bebe Catamaran is 32 feet with a 16 foot beam and is perfect for small groups of up to 22 people. 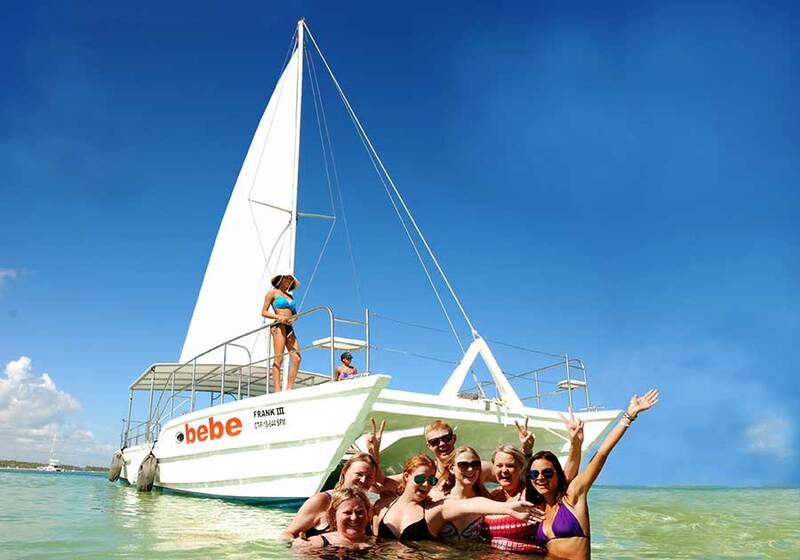 For larger groups we can provide you with our BIG bebe Catamaran. At 56 feet we are more than capable of handing 60+ people at a time. We chartered the Big Baby Catamaran for a group of 60 and it was fantastic! What makes the charter so great though is the awesome crew. These guys are so happy, so helpful and so ready to make it a great time, and they did! Couldn't have asked for better. We got married at a resort in Punta Cana and as a thank you to our guests who joined us for our special day, we arranged with Caribbean Dreams to take a private tour on the BigBaby Catamaran. The crew was wonderful and entertaining! I would highly recommend this tour for anyone looking to have a fun afternoon outing full of laughs, drinks and fun! Copyright © 2019 Caribbean Dream | All rights reserved.